Our family is growing! Worthing here we come. We’re delighted to announce that we’re opening a new practice in Worthing in late August, welcome news for our existing clients who live there and currently choose to drive to one of our sister locations. We’re proud to say they make this choice because of our traditional values, personal service and exceptional care, and we’re thrilled to be in a position to support them closer to home as well as inviting new pet owners to join our family. Our newest practice will deliver the same hallmark traditional family-style values and peerless personal service of which we’re so proud. Heading up the new Worthing team will be Colleen Colver, who is well known in Worthing and is committed to delivering on the Arun Vet Group promise of building bonds with our clients and their pets, great communication, continuity of care and of course, clinical excellence. Sporting our signature blend of traditional and modern design and ample complimentary parking, our Worthing practice will deliver the same excellent comprehensive on-site facilities as our existing practices in Pulborough, Ashington, Storrington and Westergate. This includes all general practice services such consultations, surgery, medicine, dentistry, laboratory and radiography. When you subscribe to Arun Vet Group, you join our family of loyal vets, nurses and support team members whose clinical care is delivered with a personal touch and who are committed to developing a longstanding relationship with you and a trusted bond with your pet. We may be growing, but it’s our promise to retain the same family values that sets us ‘a breed apart’. Our dedicated vets and nurses understand the importance of having your confidence and trust; personal care, excellent communication and traditional values are all integral to the ethos of our team. Arun Veterinary Group is proudly independent, meaning your pet is our only priority. We maintain the freedom to tailor treatment based on the most appropriate course of action while seeking the best possible value for you. We’re not restricted by corporate policies and procedures; our trusted team is driven by what’s best for your pet and we use our expertise to help you make well informed choices about their health. Like Arun Vet Group’s other sister practices, the dedicated Worthing team will be able to undertake a comprehensive range of general practice services, while benefitting from the support of the Group’s flagship hospital in Storrington in the event of an emergency or it pets need hospitalisation overnight. As the Storrington practice is the only independent hospital in West Sussex with the combined accreditation of Hospital and Emergency and Critical Care status through the RCVS Practice Standards Scheme, the pets of Worthing can be assured continuity and round the clock care, 365 days a year.  South Downs Emergency Vets specialises in the provision of emergency and out of hours care outside of standard hours. Our independent, dedicated team are on hand to deliver seamless continuity of care for your pet, 24/7. Our service is available every night, weekends and bank holidays for out of hours and emergency consultations. We’re located in Arun Veterinary Group’s state of the art, flagship hospital in Storrington, which is the only independent hospital in West Sussex to have been awarded combined Hospital and Emergency and Critical Care status by the Royal College of Veterinary Surgeons Practice Standards Scheme. This ensures your pet can stay local while receiving the highest standard of care available. Over 5000 pet owners rely on Best UK Vets* with the wellbeing of their pets. We’d love you to discover the difference that our team can make to the health and happiness for your pet too.